membership benefits, upcoming events, new products, and more! 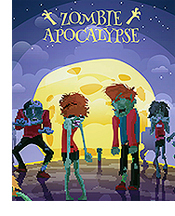 </p><p style="margin-top: 0; margin-bottom: 7px;">Hopefully, you’ll never have to worry about a zombie outbreak, but it could be a flood, fire, tornado, or other natural disaster that disrupts your office. In the face of unexpected devastation, knowing the next steps to take can make all the difference in the world. <ul style="margin-top: 0; margin-bottom: 7px;"><li>What is your timeline for being operational again? </li><li>How will you notify and communicate with all employees? What about clients? </li><li>What if you need to establish alternative office space? </li><li>How will you protect your files, both paper and electronic? </li><li>How will you keep on track with deadlines? </li><li>What if you need to transfer work to another attorney or firm? <p style="margin-bottom: 7px;">Start off your summer with a splash! Join us in beautiful Wisconsin Dells June 15-16 for the 2017 <a href="http://amc.wisbar.org/"><em>Annual Meeting & Conference.</em></a> You can even make it a mini-vacation for the whole family by extending your stay to enjoy all that the Dells have to offer. </p><p style="margin-top: 0; margin-bottom: 7px;"><img src="http://images.wisbar.org/Images/DigestEmails/Dells_boat_125w.jpg" alt="" width="125" height="94" align="left"/>Wisconsin Dells is one of the oldest resort areas in the state. Founded in 1856, this city has become the Waterpark Capital of the World<sup style="font-size: 12px; line-height: 0; ">©</sup> and is home to a huge variety of family-friendly attractions. </p><p style="margin-top: 0; margin-bottom: 7px;">The Tommy Bartlett Show, Wisconsin Ducks Dells tours, and Noah’s Ark Waterpark are just a few of the iconic and popular ways to have fun in Wisconsin Dells. From amusement parks and zip lines to breweries and golf courses, there’s something for everyone to enjoy! 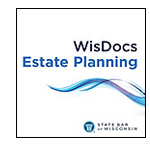 8:30 a.m. – 3:30 p.m.
© 2019 State Bar of Wisconsin. All rights reserved.